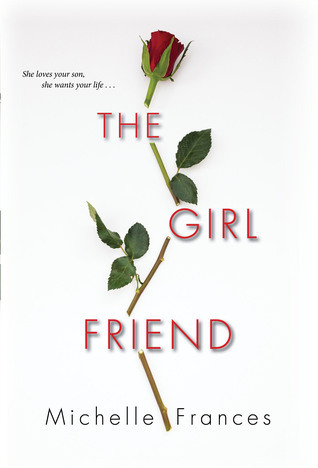 My thoughts: I read a lot of psychological thrillers - just putting that label on a book has me already eager to dig in. But with that, comes the problem that I find I'm reading a bit of the same old every once in a while...but not with this one. Michelle Frances has crafted this psychological thriller with undertones of a domestic drama and turned it into one addicting read! This book starts with one heck of an intense, intriguing prologue. It gets you wondering just where this story is going and has you thinking all sorts of things as the book then moves back in time to where the beginning of these characters story. I will say that the first half of the book is a little slow, sort of like a slow burn as we see how all the players fit into this crazy story. One of the stand-out features of this book are the characters and just how devious and manipulative they were. It was amazing how much you can come to dislike characters over the book of a book and still love the story. Watching these two women, who claim to love the same man - one his mother, one his girlfriend - was like watching a trainwreck...you don't want to keep looking, but you can't help it. You need to know how it is all going to play out. The characters are so well-developed and drawn. There were times I disliked both Laura and Cherry intensely, yet there were also times I felt sympathy for them. And then there's Daniel, who is just caught in the crossfire of all this scheming and manipulation. I found this book to keep me on edge all the way through. Especially once you reach the halfway point, where things reach a point where you cannot walk away without knowing how it is all going to play out. It's crazy, twisted and the slow burn at the beginning just adds to the overall tension, especially when it's ramped up towards the end. I am beyond shocked that this is the author's debut novel and at the same time extremely thrilled that it has already been optioned for film - I think this will definitely make a great movie! This is an author to watch...and I can't wait to see what comes next from her. My thoughts: Paula Treick DeBoard is still a relatively new author to me, having only read her previous book, The Drowning Girls, which I really enjoyed. So of course, I was thrilled and honored when Paula herself reached out to me to read and review her latest book. This is another book that is so timely and relevant in today's society - which is such a sad commentary to make, yet a true one nonetheless. Right from the beginning, you find out that something has happened 14 years ago to cause Megan and Lauren's friendship to fracture - something big enough that a press conference was warranted. We aren't given the full details - of course! - but we are given just enough that we can certainly guess where the book might be headed. From there, the story takes off, moving back and forth in time, really developing these two characters - a huge strength that this writer has. She is able to give us a story, with a compelling, engaging plot, and yet have the characters take center stage. We see the girls' unlikely friendship grow from their first meeting in college, we get their backgrounds and what makes them them. We see the first hints of the lies and secrets that start to build between the girls - as their friendship continues, we see that all really isn't as well as they make it out to be. This book is an addicting read. It will get under your skin as you try to put the pieces together. You know some big "thing" has happened to cause the ultimate fracture of the girls' friendship, and you will make guesses - you might even guess correctly what has happened before it is revealed - but it's really the way the story is told, the building up to it and the way things are handled afterwards that make this book. It also shows just how damaging a lie or two can be - they always have a way of coming back to haunt you. I devoured this book...once I started reading it, I could think of nothing else. This is an emotionally charged read and one that has such strong characters, they will certainly stay with you long after you have finished reading that last page. I cannot wait to go back and pick up the two books I have not read of Paula's - her writing is just so good I cannot get enough. And at least those will tide me over until any future releases come out! All We Knew by Jamie Beck is one of BookSparks "Winter Reads" reading selection picks. Follow the #WRC2018 hashtag on twitter to read reviews on this book as well as reviews on the other winter books! Also, be sure to check out the BookSparks Facebook page for the #WRC2018 and other fun links. 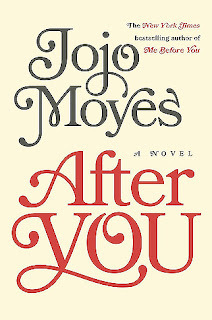 My thoughts: I don't think there has ever been as charming and endearing a character as Louisa "Lou" Clark and I have to admit, Jojo Moyes has given her readers so much time to fall in love with her - three books, of which at the onset, I'm not sure Jojo knew she'd take this character so far along. Before I get into talking about this book - which, spoiler alert, I absolutely loved!!! - I will say this. This is a series that really does need to be read in order. There are quite a lot of references to not only the first book but also the second book and I really do think a lot of the nuances and overall meaning will be lost if you don't read those other two. You will have a better connection to Lou having read the prior books. I admit, I loved the first book of this series, Me Before You - was on such a reader's high from it, that I needed time to process it before moving on to book 2, After You. I only just read that one last week...and it was ok. 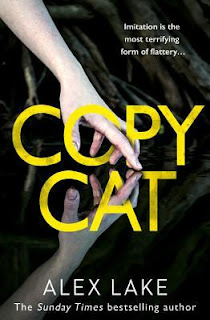 But this latest book, Still Me - OMG, I loved it. I once again finished it and felt that same reader's high. One thing I will say for this series as a whole, though - it will definitely make you think...and to me as a reader, there is nothing better. I loved that this book finds Lou moving to NY for a job. She is still trying to find herself after all that has happened in her past and is trying to live up to the advice Will gave her a while back - you only get one life, make the most of it. Oh, she is trying...and I love her all the more for it! The ups and downs she has during this book are both heartwarming and heartbreaking. 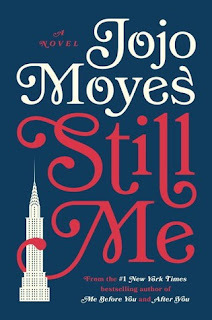 It will take you through a range of emotions - but isn't that what we've come to love and expect from Jojo Moyes and her writing? This book is filled with not only some of the familiar characters we have already come to love from the previous books, but also a whole new set of faces, some that you will end up loving and some you will end up not loving as much. But they are all vividly drawn and all have a part in helping Lou find herself. I've come to love Jojo Moyes and her writing and this just proves why. She has taken a beloved character from an emotionally charged book and given her a life of her own. She has taken risks with this series and it has worked. I adored these books and look forward to seeing what comes next from this talented author. My thoughts: I have been a huge fan of Alex Lake since reading the author's first book, After Anna. Since then, I have devoured his books and have not been disappointed - they are quick reads, great psychological thrillers and incredibly twisted! This latest book not only was twisted and creepy, but really kept me thinking! In an age where we all use social media on a daily basis, it's scary to think just how wrong things can go when someone takes advantage of what you put out there. Just how well do you really know the people that you "friend" on these sites? We really are quite vulnerable when it comes to these sites, and let's be honest...do we really take the time to make sure we are up to date on all the latest security settings with all the social media sites we frequent? Do we have them set to the highest level so that we are protecting ourselves from cyber-stalkers? These were just some of the thoughts that were running through my head while I was reading this book because this is what was happening to Sarah. Someone was stalking via cyberspace and it was creeping her out - heck it was creeping me out! And the crazy part was that it all starting so innocently and at first, no one believed it wasn't her doing it. The way this book is crafted is so brilliant that even I questioned her...I loved that! I really couldn't decide if she was mentally unstable or a victim for a while. But I admit, I did figure it out just before the reveal. 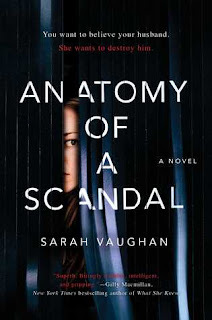 But no worries - this in no way detracted any enjoyment of this book...even though I figured it out, I needed to know the why and believe me, I was knocking my head against the wall trying to put all the pieces together. This is a dark, twisted, fast-paced book that grips you from the first page and never really lets up. It will get under your skin and have you questioning twice about the information you share online. Just how private are our private lives in the digital world? 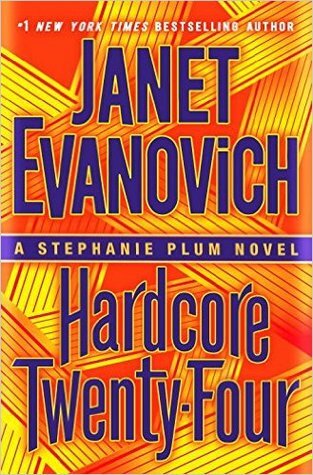 There were four cousins in the Morse family: perfect Kenny, the preppy West Coast lawyer; James, the shy but brilliant medical student; his seductive, hard-drinking sister Audrey; and Teresa, youngest and most fragile, haunted by the fear that she has inherited the madness that possessed her father. Their grandfather summons them to his mansion at Owl’s Point. None of them has visited the family estate since they were children, when a prized painting disappeared: a self-portrait by Goya, rumored to cause madness or death upon viewing. Afterward, the family split apart amid the accusations and suspicions that followed its theft. My thoughts: I came across this book while at the Speed Dating For Book Clubs Session at BookExpo last Spring. It just caught my eye and I decided to give it a shot...and I'm so glad I did as I really enjoyed it. I find that I am always intrigued by the art world - not that I know much about it, but I love books that combine a good mystery with the power of art. This was a good psychological thriller with just a hint of a ghost story and I really liked it. It kept me captivated and engaged from start to finish. I think the fact that it involved a totally dysfunctional family really had a big draw - there's just something so fascinating about a messed up family and getting into all their drama, and when you throw in a suspicious death, you know it's going to be good! I loved the characters in this book. Each one was more fascinating and flawed than the next. I was unsure who to trust. Not only are they trying to figure out what happened to the grandfather, but there's the mystery surrounding the disappearance of the famous Goya painting - a painting that has been missing for many years and is rumored to be cursed. This book is filled with secrets and the twists and turns will keep you on your toes. It's also quite atmospheric - enough to have me reading with the lights on! 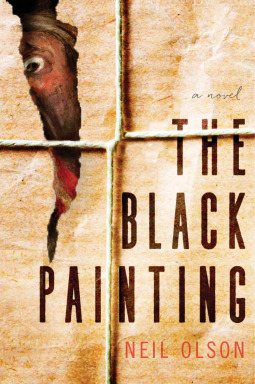 I really enjoyed this book and learned quite a bit about Goya's Black Paintings, something I knew nothing about before this book. I just love learning a little something in my reading adventures, don't you? My thoughts: So it should be no surprise that I waited until the last minute to read this book - basically right before book 3 in this series came out. After all, I didn't read the first book until this one was being released, so why not follow the pattern. And I'm not really sure why I did that...I absolutely loved Me Before You...and when I read it, I hadn't read anything about this one - I just knew that this book had been written. So...my thoughts on this one are tricky. I'm definitely glad I waited a while to read it. I needed time to come down from that reader's high you sometimes get from such a fabulous book as I did from reading Me Before You. If you haven't read Me Before You, you might be a little lost because there are lots of references and spoilers to that book - so I highly recommend reading that first. I read this book because I had to know how Lou handled moving on. 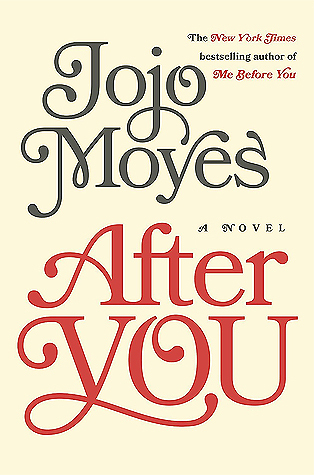 I wanted to know how Jojo Moyes handled another story with this endearing character, because let's face it - Lou is absolutely hands-down one of the most endearing, yet quirky, characters there are. I love her and she went through something no one should have to go through and I was curious to see what came next for her. I went into this book to reconnect with familiar characters...and I got that. It's a good story, with familiar characters that we've already come to love as well as some new ones. There is, of course, a sense of sadness throughout the book as well as hope and the sense of moving on. I liked the book, but I didn't love it. Yes, there is still the laugh-out-loud humor that we saw in the first book, and yes there is the heartbreak, but it was just ok. It didn't leave me with that same reader's high as Me Before You did. But you can be sure that I will be reading the third book, Still Me, because I have to see where it goes...and because I'm not quite ready to say goodbye to Lou just yet! 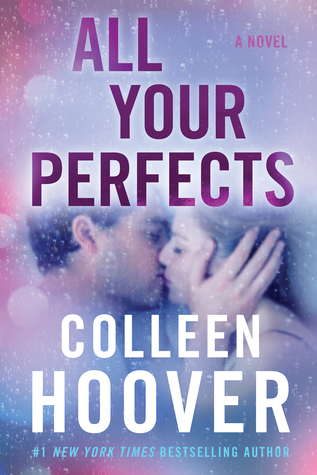 Today, Colleen Hoover's latest novel, due out July 17, finally had it's cover revealed, and I'm so happy to be able to share it with you. 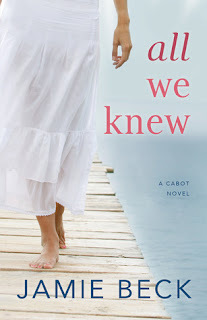 I may have come to the #CoHo fan club late, having only read, and loved, her last two books, but I can tell you with absolute certainty that I will be adding this book to my reading list. And let's just take a minute to admire this cover...I just love the colors!!! If July is too long a wait, fear not. US Weekly has an excerpt that you can read now...head over there to read it - you can find the link here. And if you want to pre-order the book, the links can be found below. 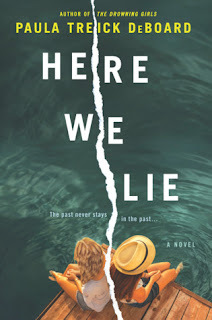 The #1 New York Times bestselling author of It Ends with Us--whose writing is "emotionally wrenching and utterly original" (Sarah Shepard, New York Times bestselling author of the Pretty Little Liars series)--delivers a tour de force novel about a troubled marriage and the one old forgotten promise that might be able to save it. 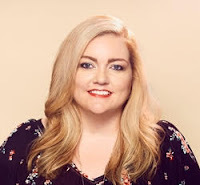 ABOUT THE AUTHOR: COLLEEN HOOVER is the #1 New York Times bestselling author of Slammed, Point of Retreat, This Girl, Hopeless, Losing Hope, Finding Cinderella, Maybe Someday, Maybe Not, Ugly Love, Confess, November 9, It Ends with Us, and Without Merit. Colleen has won the Goodreads Choice Award for Best Romance twice—for Confess in 2015 and It Ends with Us in 2016. Confess was adapted into a seven-episode online series. In 2015, Colleen and her family founded The Bookworm Box, a bookstore and monthly subscription service offering signed novels donated by authors. All profits are given to various charities each month to help those in need. Colleen lives in Texas with her husband and their three boys. Walking the Bones is a story about things buried--memories, regrets, secrets, and bodies. Acclaimed author Randall Silvis delivers another heart-stopping investigation as DeMarco finds himself once again drawn into a case that will demand more of himself than he may be willing to give. 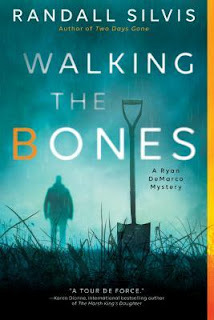 My thoughts: This is the second book in Randall Silvis' Ryan DeMarco Mystery series and I have to say, I am hooked on this series! It's different and unique...and I am loving that! I read a lot of series and so I find it a breath of fresh air when I stumble upon a series that goes in a different direction and that's what I find here. Yes, this is still classified as a mystery and yes there is suspense, but the writing is fresh and so far, both books have been quite different. I would say this latest installment is more of a character study than anything else. There is still a mystery to be solved for sure, but I think there was almost more time devoted to delving into just who Sergeant Ryan DeMarco is and how is past has made him who he is today. And, just a note - I would strongly suggest reading the previous book, Two Days Gone, before jumping into this one...a lot of references to that case are made. Plus, part of what DeMarco is struggling with has to do with that case. We also get a lot of insight into DeMarco's new relationship...again, a lot of character development here. I liked this. I felt that there was a lot to explore in both DeMarco and Jayme and loved that the story would move back and forth in time, helping to give us a better picture of who both these characters are and what they are made of. Neither one of them had great childhoods and some of that has stayed with them - how could it not? The case they end up working on is not without its challenges and was quite interesting. It brought them in contact with quite a contrary bunch of characters. It is filled with twists and turns and kept me engaged throughout. This story is about all things buried - bodies, secrets, regrets, and memories. While not necessarily a fast-paced book, it will consume you once you start reading, getting under your skin until you reach the final page. I have enjoyed both books in this series so far and look forward to seeing where it goes next. Giving them each her signature "pants speech"--her pants aren't coming off unless she has a real connection with someone--she desperately wants to push past the awkward small-talk phase to find true love, but finding "the one" is starting to feel impossible. That is, until she meets Luke, who is sophisticated, funny, and not to mention, hot. Alison finds herself falling for Luke harder than any guy she's dated and finally letting her walls down, but will he stick around or move on to his next match? 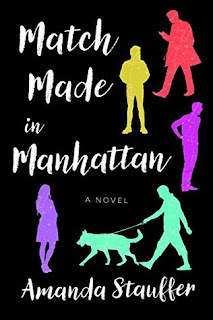 Match Made in Manhattan by Amanda Stauffer is one of BookSparks "Winter Reads" reading selection picks. My thoughts: I picked this book up at BookExpo last Spring and was quite excited to read it. Little did I know how timely a read it would turn out to be, nor how good! This is absolutely a slow-burning type of read, that little by little peels back the layers until you have the full story. And I loved that it was crafted that way - it kept me in suspense and on edge all the way through, trying to put all the pieces together, and wondering just how it would all play out. It's one of those books where it's probably best that the less you know going into it, the more you will enjoy it, so I won't say too much about the plot itself. At it's core, this is a tale about whether being privileged gives you cart blanch to do what you want. What I loved is that right from the start, I felt no sympathy for James, and I felt like I was never made to. He was despicable all the way through - there was no wavering on this. I loved that as the story progresses, so does the intensity. The courtroom drama was as compelling as it was interesting - I didn't know much about they ways of the British legal system, so this was quite an education. And the characters are all vivid and complex. Having it told from multiple points of view and moving back and forth in time really gives it a dynamic feel. This book is one that had me thinking throughout. 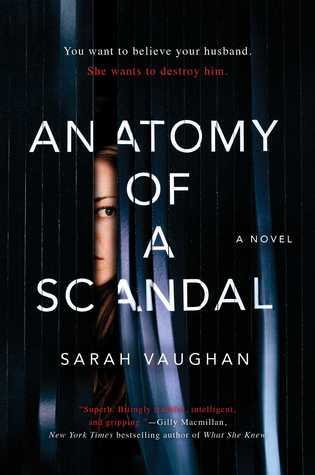 It's sad that this type of fiction is such a reality in our world today, in one way or another, and yet I feel as if Sarah Vaughan has still created quite the addicting read. It's a gripping read that, while maybe not for everyone, is sure to be a hit with those who enjoy a slow-burning suspenseful read. This year, I have decided not to partake in the many reading challenges I have in the past. The reason for this being that I rarely, if ever, end up linking my reviews to these challenges, nor participate in any of the other activities they may have. I have been using those challenges mainly as a way of tracking what I have been reading - How Many Books I've Read, Library Books, E-books, New Authors, Audio Books - and I can surely do that without the added work of updating all the challenge pages. This year, I've decided to officially join one challenge, which is more about reading goals than anything else. 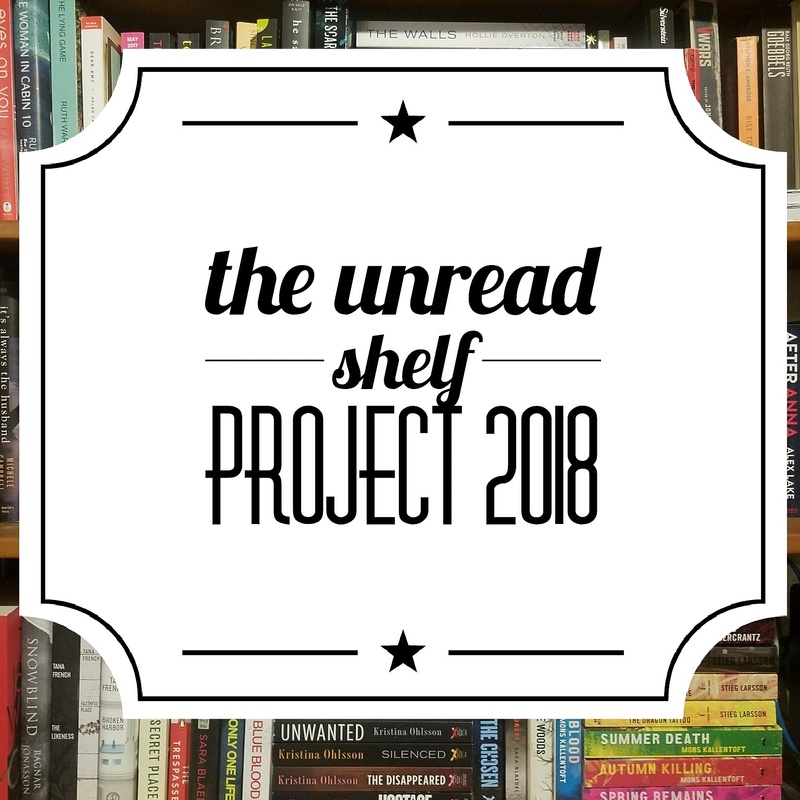 I am joining the #UnReadShelfProject2018 where I hope to read more of the books I have already sitting on my shelf. As of Janaury 1, 2018, I had over 200 unread books sitting on my shelf...this is insane!!! And that doesn't even take into account all the e-books and audio books I have that are unread/unlistened to. But for this year, I am solely focusing on my print books. Read more of my own books - I am not setting a specific number, because then I am destined to fail. I am just going to make more of a conscious effort to read my own books. Try to limit book buying - I am not banning myself from buying new books, rather I am going to be more mindful of what I buy. 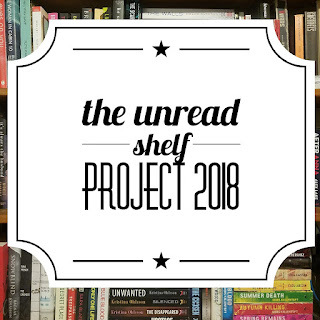 Revisit my list of unread books and determine if I still want to even read them - it is quite possible that some of the books I have sitting on my shelf are no longer of interest to me...reading tastes do change after all! I think these guidelines will help me to be successful in this challenge. At the end of the year, if I have gotten my number down even a little bit, I'll be happy. So, do you have a ton of unread books sitting on your shelf or do you read the books you buy right away? Let me know if you are participating in this challenge - we can cheer and motivate each other! My thoughts: Do you ever continue with a series just to see how it will end? I think that's where I am with the Stephanie Plum series. 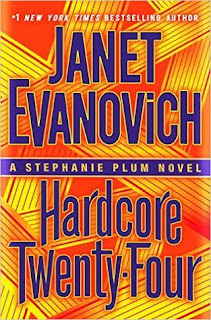 At book 24, I feel like it's the same old, same old - Stephanie gets herself into crazy predicaments with Lula, some hi-jinx ensue, they eventually capture who they need to, and along the way, she ends up blowing up a car or two, with Ranger coming to her rescue as always. Does anyone else feel this way? And yet, I can't abandon this series until I know how it's going to end. Who is she going to end up with? And speaking of romance, the love triangle is still going strong - Morelli and Ranger, Ranger and Morelli. Though, this time around, there was a new guy added to the mix - Diesel was staying at Stephanie's apartment because he was involved in a case in the area and there is definitely some chemistry there, too. But seriously...how much longer can this be drawn out? I think what makes the series is the crazy humor, and that comes not only from Stephanie and Lula, but from Grandma Mazur. She is hands down one of my favorite characters ever! As Stephanie describes her in this book, "she is a hoot!" I can't agree more!!! She definitely keeps me coming back - that and knowing that these books are pure mindless escapism. This one is filled with zombies, snakes and headless corpses...not my favorite things to read about, but the humor and the characters are what made it tolerable. So, are you sticking with this series to the very end or have you already bailed? Audio thoughts: I just love Lorelei King and her narration of this series. Her enthusiasm for the characters and her unique voices is consistent from book to book, and as an avid audio book listener and avid series listener, I really appreciate that. This is just a fun book, and series, to listen to and Lorelei King makes it that much better!